Our commitment to being One City, One Firm drives our strong sense of identity, enhancing collegiality, collaboration, cross-selling and client service. Most of all, Greenberg Glusker enjoys a strong brand recognition in Southern California. Within our key client industry sectors, our reputation is global. Lateral success and retention are critical, and every hire is meaningful to us. Greenberg Glusker competes against larger regional, national, and international practices on sophisticated matters for our elite clientele. The firm is growing in its primary areas of practice and is looking to bring on attorneys who are the best in their fields, as well as those who live the values of our firm. Recent lateral partner hires include Priya Sopori, Schuyler “Sky” Moore, and Douglas Mirell. Whether joining us from an AmLaw 100 or a boutique law firm, lateral partners will truly appreciate the advantages of the full-service practice at Greenberg Glusker. We find that for these partners, the transition is generally seamless for not only themselves but their clients. Each lateral decision is made on a case by case basis, weighing the needs of our client base against the candidate's qualifications as well as the business they will bring. Although a majority of our lateral attorneys have roots in California, the firm does consider candidates who may need to pass the California Bar. Greenberg Glusker is committed to supporting all attorneys in their marketing, public relations, and business development efforts. We provide sophisticated platforms for individual and practice area marketing plans and tactics. We offer business development and media training, as well as experienced, dedicated in-house marketing professionals and outside consultants. The firm also sponsors numerous local and national networking associations, and is a member of two prominent law firm networks. As a firm and as individuals, we value and understand the importance of giving back to the communities in which we live and practice. Greenberg Glusker actively encourages attorney participation in pro-bono cases and nonprofit and charitable organizations in an effort to better our community. Greenberg Glusker looks forward to continuing to welcome and work with the finest lateral legal talent. Chambers Associates interview with the single-site LA firm's managing partner to discuss strategy, Hollywood clients and his role in the sale of the LA Clippers. 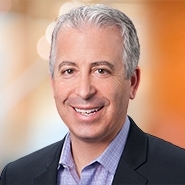 Bob Baradaran, Greenberg Glusker's managing partner discusses the firm’s focus and strategic approach to the market in The Recorder's Mid-Market Report. When it came time to move my practice, Greenberg Glusker was a firm where I knew both my practice and my clients would feel at home.